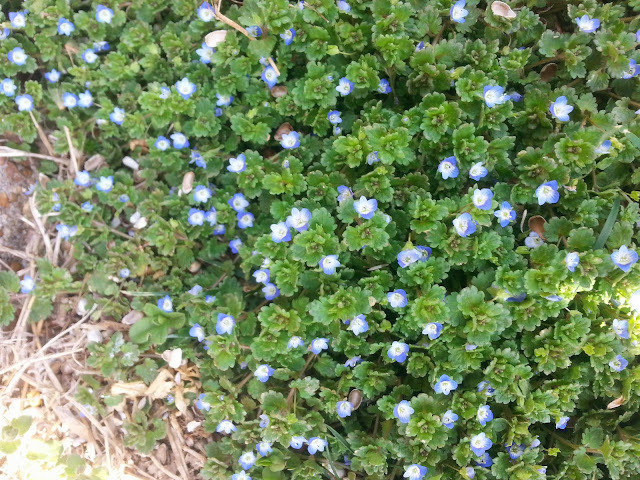 This is best looking plant I have seen in Nashville in 2014, and its a very difficult weed to control! It laughs at most herbicides! Number one question this week is when will the seed you put down last month germinate? Did it die, maybe freeze or rot? No! 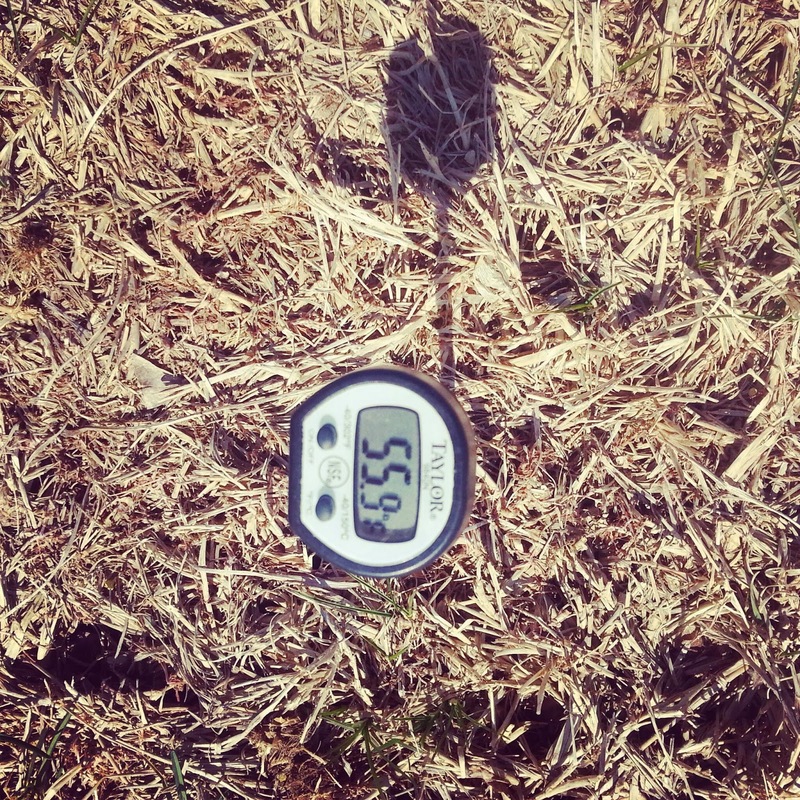 Seed basically needs moisture and soil temps above 50 to germinate. There were 5 days between these pictures the thermometer registered 40 March 5th,from surface down to 41 at a 4 inch depth. 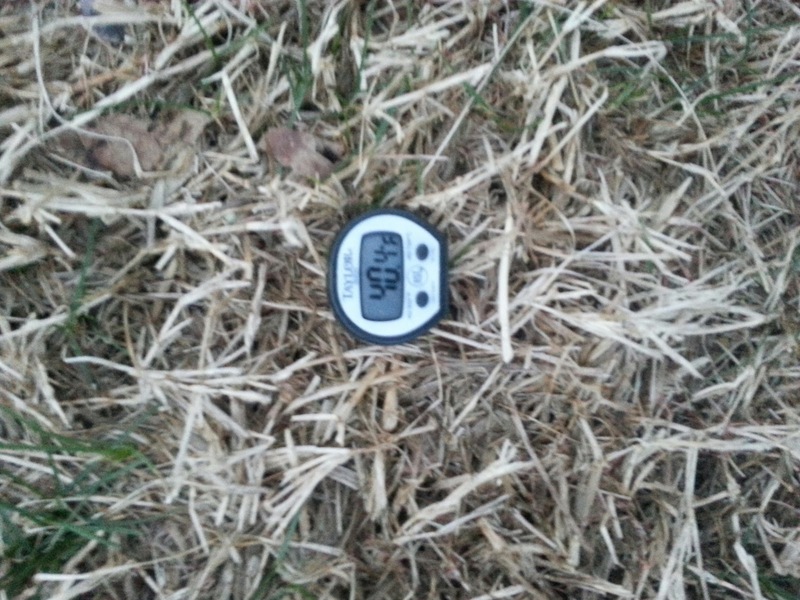 on March 10th, soil surface temps had risen to 56. We will now see fescue and perennial ryegrass germination over the next 10 days. We may have to apply Drive herbicide to keep weed grass Germination down for about 30 days, without harming new fescue seedings. That will provide a window for new seedings to grow. Real preemergent can be applied by late April. This past winter killed many freshly germinated seeds, especially in shaded areas. Tested soil temps today from just under surface to 4 inch depth. Temps in Full sun right under surface right at 40. 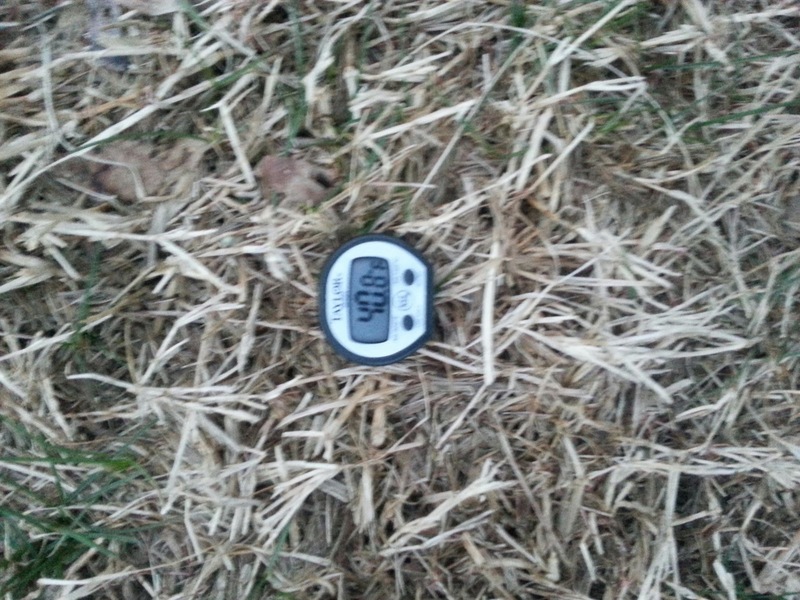 Temps rose only slightly to 41 @ 4inches. Therefore, shaded soil temps still in 30's,so all touch up seeding done in early 2014 still just sitting there doing nothing! Germination will not come for probably another 14 days minimum. However, we can delay preemergent at least until April 10th this year if you are waiting on new seed to germinate. It will happen! If you have low cut, high traffic bermuda, you better be spend the extra money on Ronstar or at least Oxadiazon generic. Otherwise, you will have to waste money on Charcoal when you sprig or sod this year. Ronstar not great on crabgrass, but excellent on the goosegrass you will be fighting this summer, especially if you have to sprig! So far, I will be shocked if at least between hash marks on football fields isn't toast! Getting random/scattered kill results from early plugs. Ronstar won't root prune nearby as bad as Prodiamine or Dithiopyr! In Nashville, I also expect to see some of the lousy old El Torro zoysia that is still around, to be greening up around really late,if at all!